I’ve had this feeling that sitting at my desk and staring at a computer (hour after hour) cannot be good for my health. Dr. James Levine of the Mayo Clinic confirmed this and proved the benefits of walking while you work. 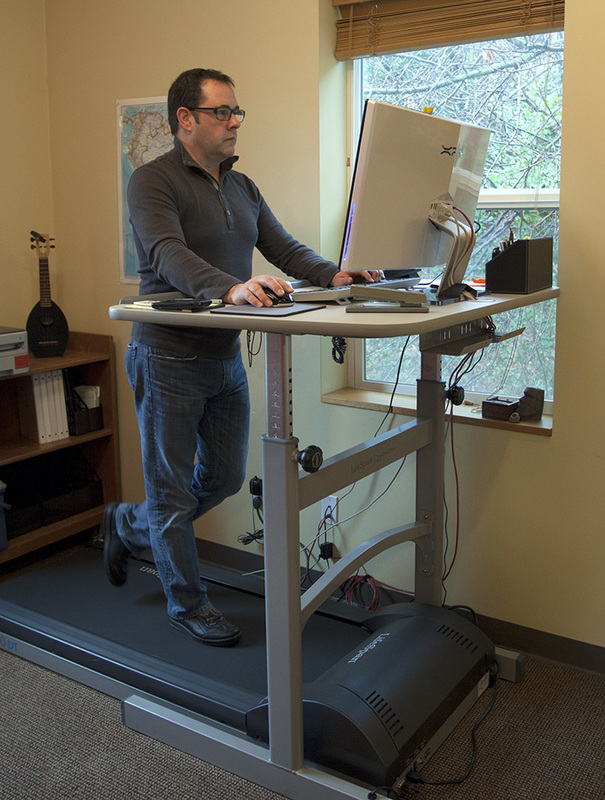 To start the new year, I took a bold move and purchased a treadmill desk like Dr. Levine’s. I was nervous that the desk would make me less productive and that I couldn’t do many of the tasks that require a steady hand, but I jumped in anyway. The desk took me only 20 minutes to set up on my own, although I would recommend doing this with help. Once my computer was on board, I was ready to start. After the first 20 minutes, I forgot I was walking and proceeded to walk through the last two hours of my work day. One mile an hour for two hours equals 2 miles, 15 email responses and 2 articles read. Not bad for the first day. I’m still getting use to walking and working, but I am surprised at how easy it is and how much I can accomplish without sitting. If you have thought about doing this or are curious to know what it’s like, please come by and give it a try. My bookkeeper is a convert after one walking session while closing my books for the year. I hope this is a start of a standard for our industry. And yes, this was written while I walked.